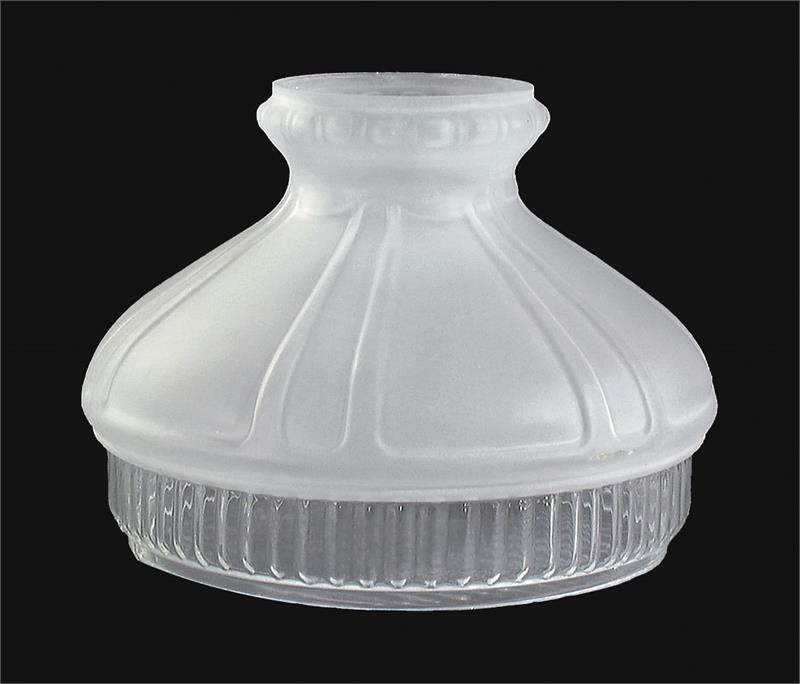 This reproduction style glass lamp shade features hand blown glass, etched finish on the upper panels, with a clear rib lower edge. The 10" base diameter fits a wide variety of non-electric table lamps such as Aladdin, Rayo, Miller, Bradley and Hubbard (B & H), and many others. 8" height makes this shade well portioned with or without a glass chimney. 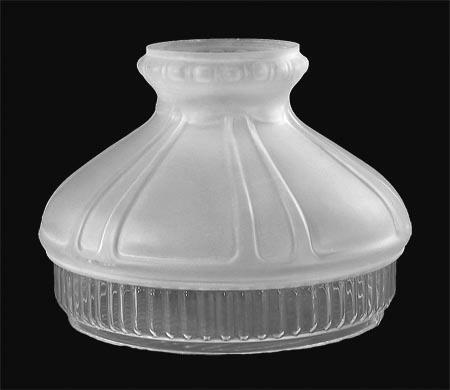 Very similar in design to Aladdin Lamps popular #N601 Model 12 Frosted and Clear Glass Lamp Shade, this shade is no made nor endorsed by Aladdin Industries LLC or Crownplace Brands.